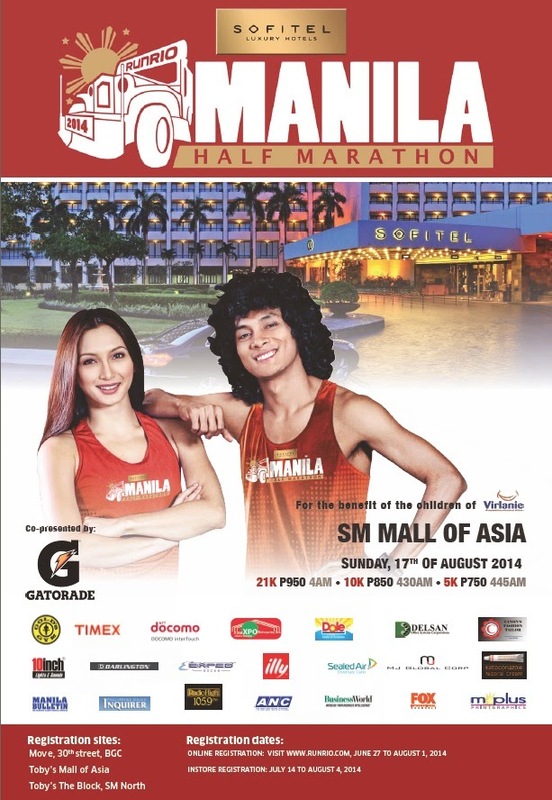 Sofitel Philippine Plaza is happy to announce that they are giving all our runners at the Manila Half Marathon 2014 on August 17, 2004 a chance to avail a special room rate package for those who will be checking in on August 16, 2014 (Saturday). 1. Advance booking coursed through Sofitel Room Reservation (551 55 55) is required. No walk-in reservation is allowed. 2. Reservation must be guaranteed through credit card or cash deposit. 3. Upon check-in, registration receipt must be presented at the Front Desk. 4. Twenty four cancellation policy will apply prior to date of check-in. 5. Breakfast is from 630am until 1030am only.